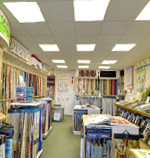 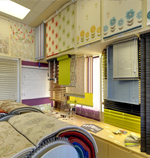 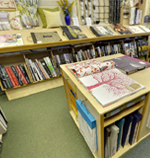 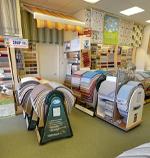 Why not take an interactive tour around our showroom? 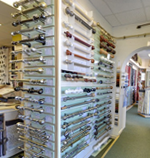 You will be able to have a glance at the vast selection of brands and products we have available. 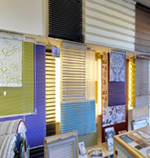 We spend a long time working closely with designer brands within the industry such as Luxaflex, Sanderson, Harlequin, Designers Guild, Velux and Hallis to ensure that our product ranges will suit all tastes and requirements. 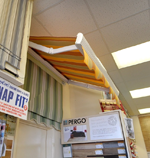 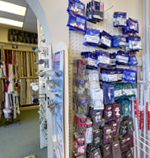 Click below to view specific areas of our store.